Asustek has revealed its plans for a powerful computer in conjunction with Nvidia and Chiao Tung University in Taiwan. The Taiwanese computer giant unveiled its ESC1000 personal super at an event in Taipei, although The Register points out that it doesn't quite fit its popular billing as a 'supercomputer'. 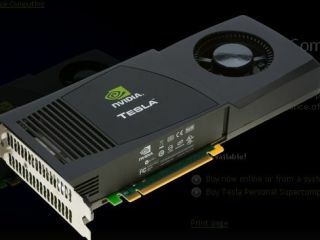 Computerworld suggests that the computer can reach speeds of 1.1 teraflops – in single-precision floating point math. The Asus ESC1000 comes with a 3.33GHz Intel LGA1366 Xeon W3580 microprocessor designed for use in servers, three Tesla C1060 Computing Processors and a Quadro FX5800 graphics card. At this point we normally ask whether it would be able to run Crysis at its highest settings, but we've probably done that joke to death.